Croatian olive oil producers enjoyed an unprecedentedly successful year at the 2018 NYIOOC World International Olive Oil Competition (NYIOOC), receiving a record 40 awards for 45 entries, including two Best in Class. Their success rate of 89 percent was the highest of any country that submitted at least 10 oils in the 2018 edition of the competition. Croatian producers also set records for Gold and Silver awards received. “Olive oil production is a constant challenge whose ultimate goal is to achieve the utmost quality,” Marija Buršić, of Buršić OPG, told Olive Oil Times. This year Buršić achieved just that, receiving a Best in Class for her De Kleva blend. Buršić’s De Kleva had previously won a Gold at the competition and she plans to submit it again next year. She credited the oil’s success to both her family’s cultivation techniques and the unique location of their olive groves, a familiar theme among Croatian producers. While Buršić did not say how her harvest is going this year compared with previous ones, several other producers who took home some of the competition’s top honors are optimistic that this year will be just as good as the last one. “This year looks great for us,” Vedrana Rakovac, the owner of OPG Rakovac, told Olive Oil Times. Rakovac took home a Gold award for her Bilini blend. Her Gold was one of 27 awarded to Croatian producers at the 2018 NYIOOC. This year was Rakovac’s first time entering the NYIOOC. Her Bilini had previously won awards at several Croatian olive oil competitions and she felt that entering an international competition with the pedigree of the NYIOOC was the next logical step for her brand. Rakovac plans to enter the competition again next year and, just like this year, will only submit her Bilini. She is confident that her oil will win again due to the combination of her location, varietals and production techniques. Edi Družetić is also confident about the coming harvest year. He is an olive oil producer at Agroprodukt, which has submitted their Salvela Buža extra virgin olive oil for the past six years and won Gold for the oil in each of the past three. “I expect this year’s harvest to be quite good, just like the last few years were,” he told Olive Oil Times. Družetić also attributes the unique microclimate in the region of Istria to the success of Agroprodukt’s oils. “The important difference from our Salvela Buža compared with other oils is the varietal, which only grows in the south of Istria and has particularly natural aromatic values,” he said. Družetić said Agroprodukt plans on entering the competition next year too and hopes to win more awards with their Salvela Buža and Torcol, which did not receive any awards at the 2018 NYIOOC. “We will certainly be present for next year’s competition, to confirm the status of our oils,” he said. According to the International Olive Council, Croatia produced 5,000 tons of olive oil last year, making the small eastern European country the eighteenth largest producer globally. However, this harvest season is an off-year and, so far, the estimated yield is 2,600 tons. Despite its relatively small output, the quality of Croatian olive oils continues to be world-renowned. Most producers focus on quality over quantity. The coming months are, therefore, key for producers hoping to continue their impressive track record at the 2019 NYIOOC. “Each year’s harvest is different because of the weather influence and therefore challenging,” Vedran Lupić of OPG Lupić, told Olive Oil Times. 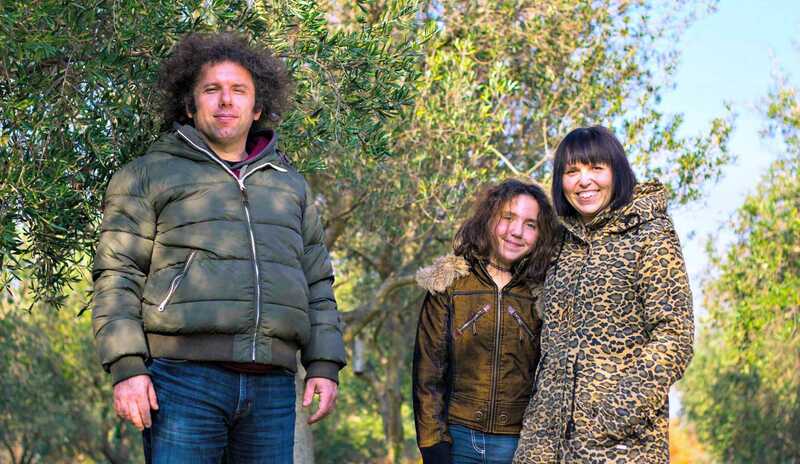 Lupić and her husband won Croatia’s other Best in Class award for their Bembo Buža extra virgin olive oil. She said that producing award-winning oil is the culmination of careful harvesting and high-quality and good luck with the weather the weather, which Croatia has largely had this summer. “To ensure a high-quality product, we follow year-round tendering and modern agro-technical methods, with special attention given to hand harvesting in mid-October, thereby eliminating and reducing damage to the fruit,” she said. “To prove to ourselves that we have done a good job, we need to enter this competition every year,” she added.